One of the very first things I noticed was how much it felt as if I were reading a script. Part of it was that there was so much dialogue – even if a majority was Jane Eyre’s own inner dialogue. It was also how the descriptions of the scenery and people were laid out… I could see it all so clearly, as I have been able to when reading a script prior to working on a production. And yet, it was definitely a novel. The words were well-written, and caused me to feel as if I were experiencing every emotion along with Jane as she lived her life. Jane’s time as a child was interesting, but not as interesting as when she became an adult and became a governess for Adele, the ward of Mr. Rochester. The developing relationship between Jane and Mr. Rochester was interesting. In case others haven’t read it, I won’t go into the details of their relationship, and what happens in the book. But I definitely felt a deep connection with both Jane Eyre and Mr. Rochester. While reading Charlotte Brontë’s novel, you learn much more about Jane, and who she is – but her way of looking at the world and the people in it, allows the reader to get to know Jane’s fellow characters, as well. You can read more of her thoughts in this direction in an expansion of the quote here. Reading that quote is the first time I felt tears forming over this book. As I sat and read what I had left of this novel the other night, tears came even more often. I may not have been sobbing or anything as I finished the book, but my eyes were definitely leaking tears. It wasn’t a sad ending, but for me, I won’t say it was happy, either. It was a beautiful book that ended in a bittersweet fashion. I believe this was the perfect book for me to start with for my Before-I-Turn-25 Bucket List. 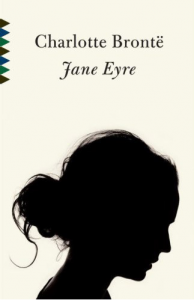 For anyone who hasn’t read this classic, I definitely recommend you read Jane Eyre by Charlotte Brontë. Keep an eye out for the review of the book I read next for my Before 25 Bucket List. It will be added to my Currently Reading shelf – which you can also view by looking at the “Read With Me” widget on the right hand side of this site – once I pick a book from my list. The title of this post is taken from this quote in Jane Eyre.